The warm weather we have been having has been driving me to hit the slopes as much as I can before the season is over! I am so not ready for the season to end, as I am sure many of you feel! But this change in weather also brings SPRING SKIING!! One of my favorite times of the season. Spring Skiing brings everyone out to ski and ride the slopes. All sorts of fun events and BBQ’s happen out on the patios. I always have a great time when it is a beautiful sunny day of skiing. I love seeing all the bright smiles on the mountain. Friday it was 45 degrees up here in western NY, and rain showers were in the forecast. But I decided to head out to the slopes, anyway since my classes were canceled. I headed out to spend the afternoon at Hunt Hollow Ski Club. This quaint ski area is located in Naples, NY. The ski area boasts 70’s style lodge that is warm and cozy. The center of the lodge had a huge fireplace, with many kids drying their mittens as they were hanging out. 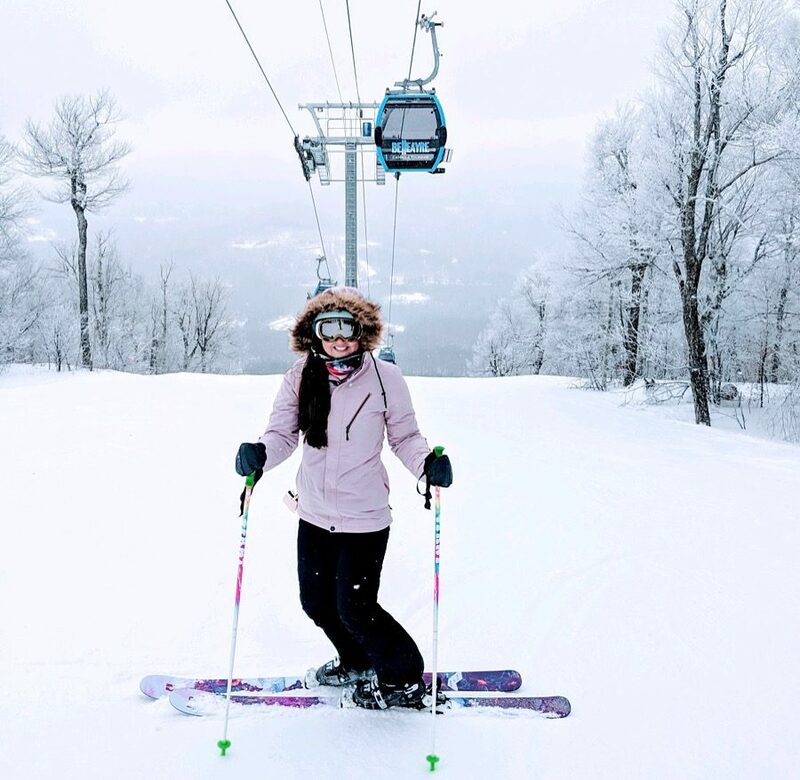 Hunt Hollow ski area has a great family vibe. Even on a cloudy February day, families were out getting some runs in. Scattered around the lodge are lots of flyers advertising all of the events, upcoming races and fundraisers that you can attend at Hunt Hollow! A big draw to the ski area is that Hunt Hollow is a private ski club, you have to be a member to ski there. Because of it’s exclusivity, you feel like you are part of a ski family. Private ski area means no crowds! How cool is that? But they are open to the public on weekdays, so check out their website for availability and ticket prices! Let’s hope for some colder temps and maybe one more big snow storm! Ski ya on the slopes! friends that ski together stay together!